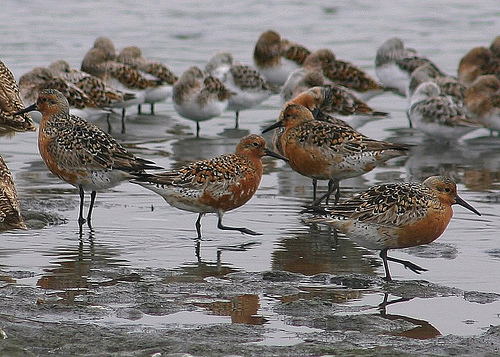 The Red Knot makes a long journey in which the Wadden Sea in western Europe plays a crucial role. From the breeding grounds in Canada, Greenland or Russia, they migrate to the Wadden Sea. Some of the Red Knots then travel farther south. Crucial are the numbers of the cockle, a kind of shell. 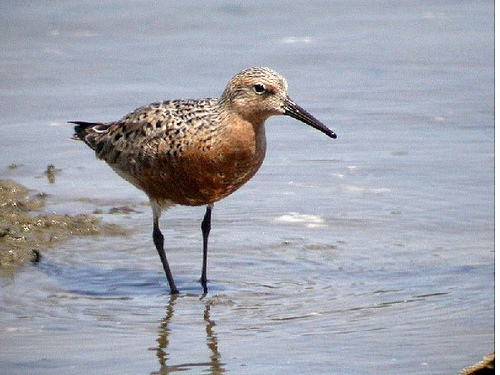 In recent years there has been intensive fishing for cockle, which is affecting the population of the Red Knot. In summer both species look alike, but the beak of the Red Knot is short. The Bar-tailed Godwit has a long beak.